If you have never heard of frickles before, well, welcome. 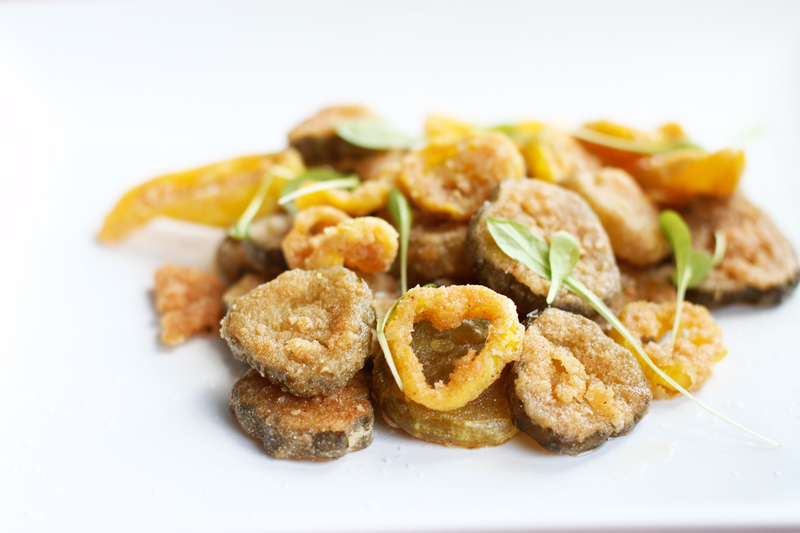 A frickle is a deep fried pickle whether they are pickle wedges or pickle chips. I first experienced frickles at one of our local restaurants in town and fell in love with them. I know there is something to be said about things like beer battered fried beans, or heck, fried things in general. These frickles however are pretty darn amazing and make a quick party appetizer, or side dish for that matter. My wife, who has never heard of a frickle, fell in love with these. So while making these, I also decided to throw in some banana peppers to see how they would turn out. I think the frickle met its match, and the peppers were a great balance with the pickles. Start by draining your pickles and peppers. Then add them to a bowl of milk, and give a gentle stir. Set aside. Next add your dry ingredients to a mixing bowl, and do just that, give it a good mix. When your oil comes to temperature, toss the pickles and peppers with the flour mixture and make sure everything get an even coat. The flour should easily adhere to the pickles and peppers. Add about 8 or 10 pickles and peppers into the hot oil. These will cook quickly and be done within minutes. Remove them with your kitchen spider or slotted spoon and place on some paper towel to drain any access oil. Quickly season with a pinch of salt. Remove from the paper towel and place on your serving dish. Repeat with the remaining pickles and peppers. Serve with any of your favorite creamy dressing, or eat them alone. You get a crisp exterior while retaining that sweet and tart flavor of the pickle. Did I mention the peppers? Oh, wow. That’s all I have to say. You get a crisp exterior while retaining that sweet and tart flavor of the pickle. Did I mention the peppers? Oh, wow. That's all I have to say. These turned out great. 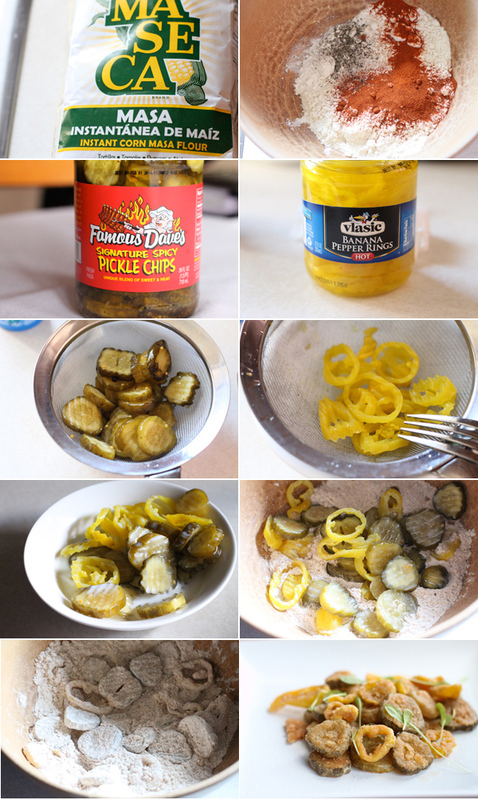 I’ve made a lot of different fried pickles, all with varying results, and these have been the best by far. I loved the masa in the dredge; it gave it a little bit of a crunchy crumbly texture without being too gritty and sandy like cornmeal would. I did add a little bit of cornstarch to the second batch and that helped to make them a little flakier. I think I’m addicted to fried pepperoncini now, too. Thanks! Thanks for the recipe. We ate them when we visited the States and we want to try to make them at home (in The Netherlands). Now we can!